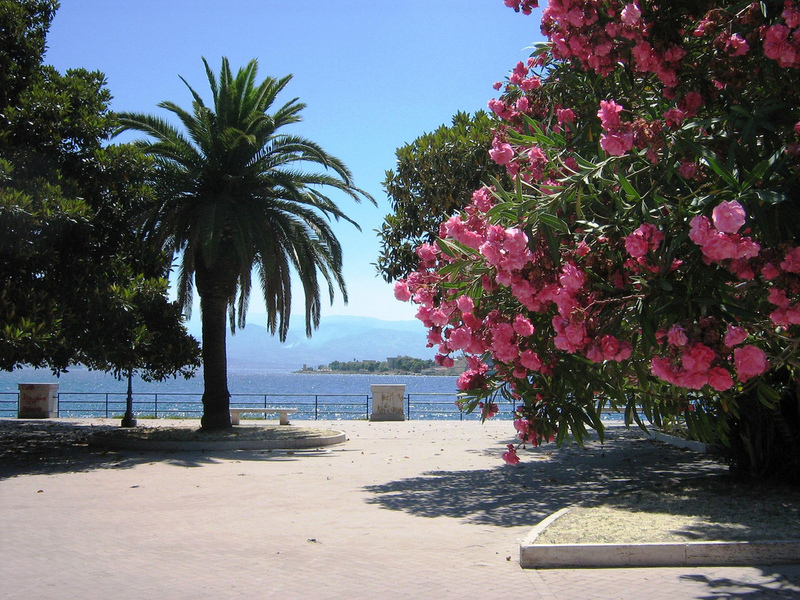 With the small group of 4-6 people, you will take a van and cross the Straits of Messina and drive to Milazzo where you will board a hydrofoil which will whisk you to the largest island of the chain, Lipari. Once in Lipari, we will check into our beautiful 4 star hotel which is near the port and the quaint village of Lipari with lots of delicious restaurants and great shopping. While there you can sit on the terrace of the hotel and breakfast outdoors, take a bus or walk to the norman castle up the hill, wander the village streets, take a boat ride or visit the nearby beach for a swim in the warm waters of the sea. Daily options are to take a ferry to one or more of the other islands nearby for lunch or early dinner. On the 19th you will sadly bid goodbye to the relaxing Aeolian Islands and return to the island of Sicily by hydrofoil. You will be driven to the Catania Airport where you will board a flight to Rome. If you would like to be added to the list for this mini trip. Please fill out and submit the form below. OH MY! COULD A BUNCH OF ISLANDS GET ANY BETTER…EVEN BETTER THAN THE CARIBBEAN? Named after the Greek god of the winds, Aeolus, the archipelago known as the Aeolian Islands, or the 7 sisters, as in the Pleades, the Aeolian Islands just might have a leg up on the Caribbean for diversity and beauty. Just as 7 sisters would be different, each island has a personality of its own. One is lush, one smolders, two are so separate from the others its as if they have gone off and to meditate. Others are covered with lava rock, pumice and obsidian with crystal clear turquoise water while one in particular erupts daily…this is the firey one. A pleasant excursion is planned to linger a little longer in Italy’s glorious southern region with a visit to the Aeolian Islands located just off of the northern coast of Sicily. 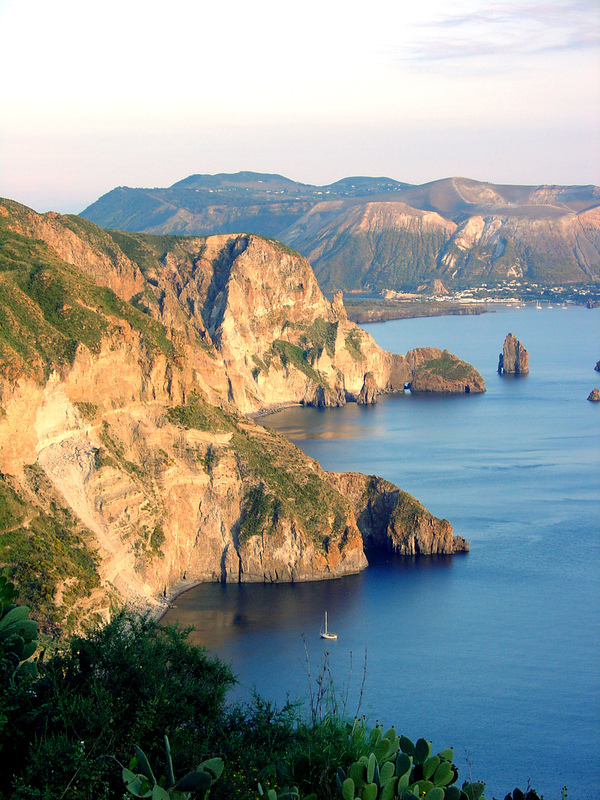 Lipari, the largest island, is the base for daily excursions to some the other islands. One of the islands is known for its delicious hot sulfurous mud baths. Accommodations are at a luxurious 4 star hotel with beautiful verandas and a swimming pool. It is near the harbor and the small town of Lipari where there is shopping on the little streets and many restaurants to choose from. From Lipari there are several excursions you can choose. One of my favorites is a boat trip to the beautiful island of Panarea, the opportunity to swim in the beautiful bay of Cala Junco. 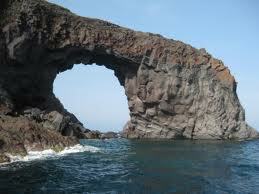 You will stop at a village on the island and continue on to Stromboli, the island with the active volcano. Here we will visit different places to swim and go ashore for a delicious local pasta dish. It should be about dusk after eating and we will be able to see the eruption of the volcano when it’s most spectacular. Details of the trip are here.